Agnolo di Cosimo di Mariano, best known as ‘Il Bronzino’, was one of the most talented painters of the Florentine Mannerism. He was trained by Pontormo and Allori and he is mostly regarded as one of the most effective and gifted portraitist for the House of Medici, during the late Renaissance. Even Vasari greatly praised his portraits of wonderful ladies and proud noblemen for being so unaffected to look like “perfectly natural and genuine, painstakingly painted and refined, betteAgnolo di Cosimo di Mariano, best known as ‘Il Bronzino’, was one of the most talented painters of the Florentine Mannerism. He was, among other things, the scholar of Pontormo and Allori and he is mostly regarded as one of the most effective and gifted portraitist for the House of Medici, during the late Renaissance. Even Vasari greatly praised his portraits of wonderful ladies and proud noblemen for being so unaffected to look like “perfectly natural and genuine, painstakingly painted and refined, better than everyone could wish or expect’.The painting (oil on canvas, 58 x 45,4 cm), is exhibited at the Uffizi Gallery in Florence. The displayed child is Giovanni, second-born of the Grand Duke of Tuscany Cosimo I and Eleonora di Toledo: he is portrayed on dark green background from his waist upward, dressing red clothing (to symbolize his foreseeable future in the cloth), more precisely a lucid suit with golden embroideries and white lining. All the garments came straight from the local Florentine silk workshops that Cosimo was trying to back up in those years. A golden chain hangs on his neck, embellished with red-coral pendent whose were supposed to protect children from a premature death. He holds tight a goldfinch with his right hand. The tiny bird symbolizes the Passion of the Christ: according to the christian legend, a goldfinch attempted to pull out all of the thorns of the Christ, while he was standing crucified on the cross. But it ended up piercing itself and it stained itself with the holy blood of the Christ: this is the origin of the small red spot on its head. And this is another irrefutable reference to Giovanni’s vocation. First and foremost, we have to explain that “Handle with white gloves“ is a French saying originated in the late 19th century. The original phrase was “Handle with yellow gloves”, since they were regarded as the highest form of elegance and sophistication. Though, they pretty quickly became “white gloves”, to indicate the ones that were commonly used to polish and clean delicate items of silverware, bone china and crystal-ware which needed to be treated with extreme caution and carefulness. It basically means to treat someone or something with the highest care, devotion and attention. So I have been told by a bird… Our tales are brimful of talking birds! As the legend says, whoever is able to master bird’s language will become King or Pope. Well, this is the story of a noble-family kid and his inseparable goldfinch. Giovannino was a very sad kid, always wrapped in his red clothing. Since he was destined to a clerical life, he was spending all his time studying the life of the Saints and staring outside his chamber’s window the fast-changing cycle of the seasons. Lemon scent overwhelmed his room during the springtime when Boboli’s gardens wisterias were blooming all over and colorful iris spruced the majestic staircases up. 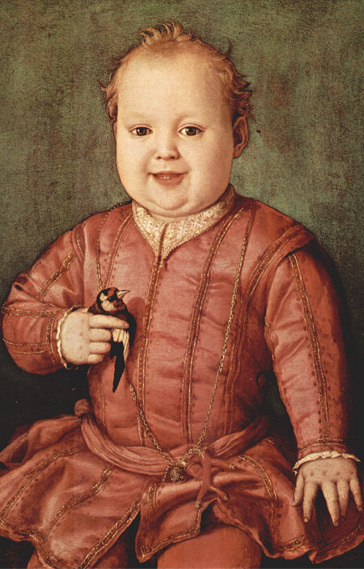 Either way, Giovannino missed the joyful games of the other kids, maybe poorer than him but definitely more free; he missed a trusted friend to rely upon, until suddenly one day a goldfinch landed on the windowsill and it began to look at him moving oddly its speckled head. It seemed that it wanted to tell him something with its chirping, so Giovannino approached it but the bird flew away. Goldinch was scared by Giovannino’s hands: he reminded him when other little rascals tried to catch and put him in a bird cage, a golden prison that frightened him. So, Giovannino began to search for a special book in his bookcase, a book that could teach him how to get a grasp of bird’s language. He discovered that Saint Benedict used to feed a crow every single day from his cell and it did obey to each of his orders. One day, without even touching it, the crow realized that a chunk of bread was poisonous and brought it in a place where it would be out of reach for everybody and that Noah gave a dove the order to spread along the message of the ending of the Flood. But he could not find in any of those books the ancient and hidden secret of this obscure language. He tried again but Goldfinch flew once more and while he was moving away Giovannino heard him singing: “If you want me to become your friend, you have to treat me with your white gloves”. That night he found a couple of huge gloves inside a chest, probably left behind by some wayfarers from Bruxelles: the Painter helped him to dress them on. 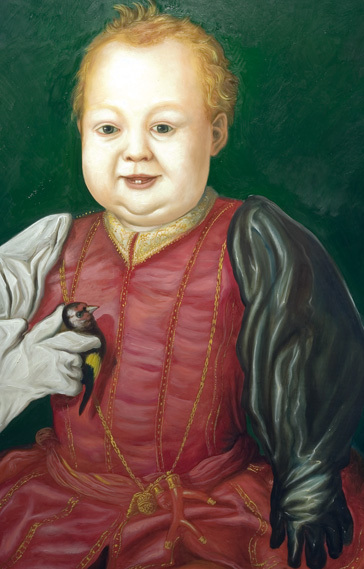 The next day Giovannino came closer to the goldfinch with big teardrops sliding down his chubby cheekbones and, surprisingly, the little bird let itself get caught by the white, comfortable and fleecy gloves, just as it was his nest. Giovannino burst into laughter and he greeted him with complete kindness. They rapidly became best friends and some say that Goldfinch always whispered in Giovannino’s ears his gratitude for the comfort and dexterity of those items that came from the future.If you are going to ask Ansell, they will surely answer you back this way: “We have been told by a bird”.